This is a terrific Adventure that includes so many wonderful activities all in one. Hike to the Kalihiwai Stream where you’ll kayak through a rainforest then tie up and hike further into the Ranch, crossing a few streams until you arrive at the stunning Uluhe Fern Ridge. From there guests can choose to ride two 400’ zip lines, then continue on to the swimming hole. Kayaking beginner level time is about 1 hour; hiking is moderately strenuous, tour duration 4.5 hours. All the experienced guides are CPR & first aid certified and well versed on Hawaii’s history, fauna & flora. This course is regularly inspected by an accredited vendor of ACCT, has been professionally engineered and constructed to exceed industry standards, and is meticulously maintained. All adventures include use of a back pack and delicious picnics with make-your- own-deli sandwich (with a veggie option), chips & cookies except for Zip Express, Ride N’Glide and 2 hour Private Horseback Rides. Rental shoes available (all-terrain @ $5.00 per pair). All horseback rides feature Western saddles with helmets are available upon request (required for children ages 8-12). 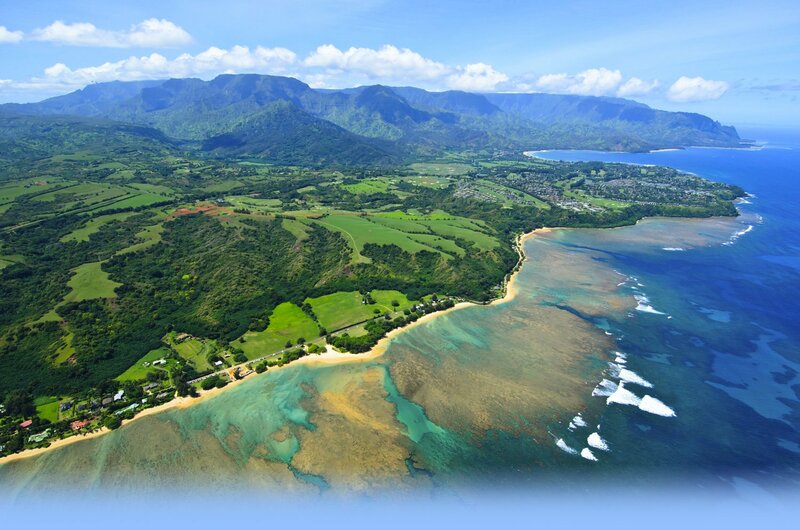 One mile from the Princeville Airport on the ocean side of Kuhio Highway. (Highway 56) in Princeville. Look for the green & yellow flags & the Princeville Ranch Adventures signs. Weight: 65 lbs - 280 lbs. 5 years of age or older and in good physical condition. Hiking is moderately strenuous, includes multiple stream crossings and is approximately two hours, round trip. Kayaking is beginner level, and total kayaking time is approximately one hour.